For details contact Bonnie Combs, Blackstone Heritage Corridor, Inc. Marketing Director at bcombs@blackstoneheritagecorridor.org / 508-234-4242. 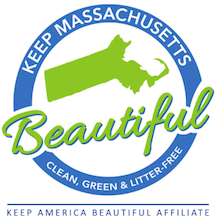 Join us to beautify Mendon. Volunteers will meet at the Clough School at 9am and will be provided with bags, gloves, safety vest and other items to help with the clean-up. Volunteers will return at 12 noon for barbecue fare and drinks provided by the Mendon Lions Club. All youth volunteers under the ages 3-12 will receive a free children's pass to Southwick's Zoo as a thank you. Earn service credits. Boy Scouts and Girl Scouts can earn badges or certification. For details contact Bonnie Combs, Blackstone Heritage Corridor, Inc. Marketing Director at bcombs@blackstoneheritagecorridor.org / 508-234-4242.